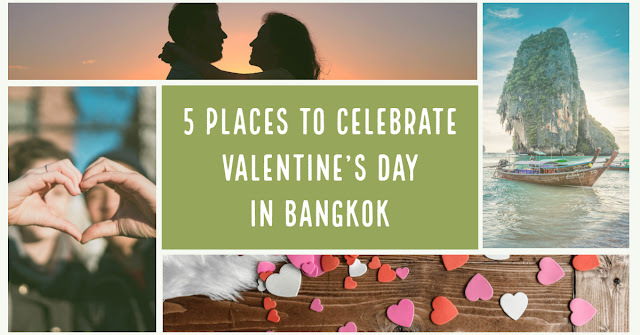 Whether you’re planning your honeymoon or your holiday in Bangkok, with Valentine’s just around the corner, I’m sure you are planning for a movie date, typical dinner or Thai massage and spa. All these are boring and tedious to charm your Valentine. For those daring to be unique and want to submerge in some of the unique things, one can experience in his Thailand honeymoon packages. Bang Krachao is the best place for spending your day biking and hiking with your partner. It is also known as the green lung of Bangkok and where you won’t see heavy traffic and congested streets. Feel free to rent a bicycle, soak in nature, eat food, roam around, and visit the local markets. While there in Bang Krachao, don’t forget to plan a day in Bangkok's Tree House for an exotic lunch or beverages among the all-natural beauty. If you want to make it more special, you can even spend an evening where you experience the best sunset. Chaophraya River'is one of the best romantic places a couple can choose to visit, a boat tour on this river will turn your common Thailand journey into a super romantic experience. 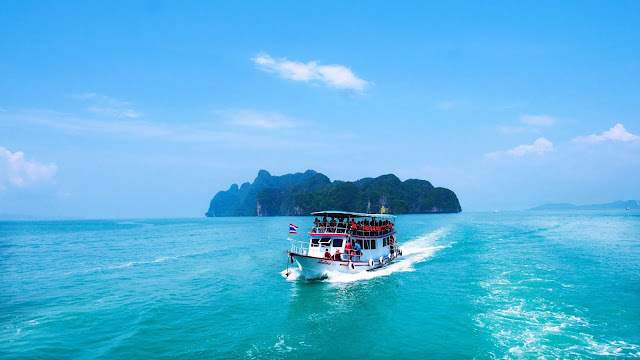 Book an exclusive longtail boat tour, take with you some fruits, beverages(wine, champagne or beers) or some desert a perfect way to spend a lovely Valentine day. Don’t forget to give a garland made of flowers to your partner expressing admiration and love. Taste the traditional Phuang Malai Song Chai. Stop by the river to appreciate the sunset. Must include in your Thailand honeymoon packages from India. The Thai massage is globally famous for its special benefits, but let’s ignore all the stretches and cracks. Take your lovely one for a romantic couple massage. There are various spas that provide couples massage, that you can select from a full day therapy or a couple of hours of bath with essential oil massage. The therapies can be very innovative with a milk bath, golden dust therapeutic massage, and healthy experiences. Book in advance will save your time and money on this honeymoon trip Thailand. For one thing truly exclusive for you and your companion, think about taking an overnight cruise trip on a traditional teak wood barge upstream to the historical capital urban center of Ayutthaya. Cruising slowly and gradually along the stream and experiencing lesser-visited wats or temples is quite memorable. Trips can take between 24 hours to 48 hours, depending on which Bangkok honeymoon package you select. There are various overnight vacation cruises cruising from Ayutthaya to Bangkok, but we believe the most passionate ones are possibly the Mekhala River Cruise or the Anantara Riverside’s cruise aboard the Anantara Dream. The living quarters have been adoringly designed, with high-end home bedding, hot showers, and classic Thai furniture. 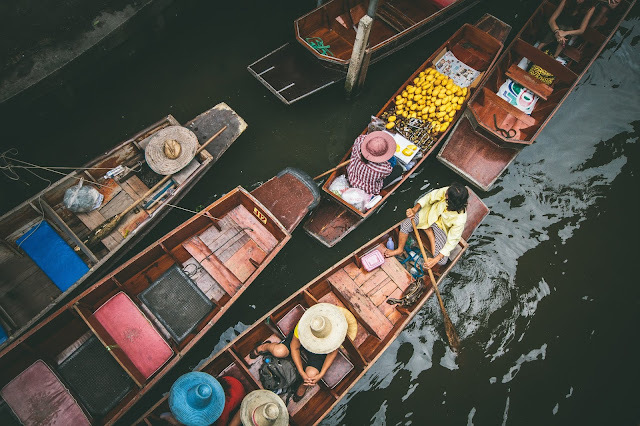 On this exclusive tour, you can get to know the real and actual world of Thai traditions, customs, culture, and food at the Damneon Saduak Floating Market. The vendors, hold an array of bright colored tropical fruits and veggies, sticky rice, prawns, coconut sugar candy on small self-paddled boats. Situated in the western landscapes of Bangkok you can check out the marketplace in full swing from early morning to late night, admire the bustle among the calm peacefulness of the landscapes and explore the magnificent colorings of the tropical fruits that range from mangoes and bananas to Malacca grapes and Chinese grapefruit to coconuts. Experience a lovely breakfast along the local markets overlooking the river, and spend the best valentine at the most happening place on the earth.